Detroit Engine Works Detroit, Michigan. 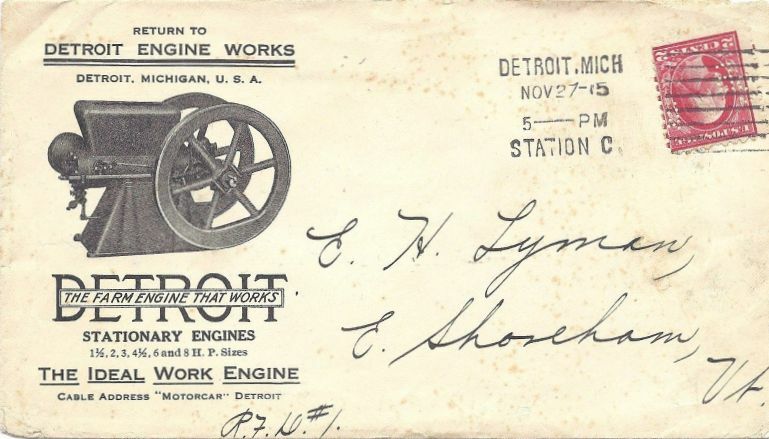 It appears that the Nelson Brothers Co. in Saginaw, Michigan manufactured some of these four cycle engines and sold them to Detroit Engine Works who in turn re-tagged them with their own engine tags and started selling them around the 1916 time period just before they went out of business in 1919-1920. I'm guessing this was done because DEW had a couple major fires at the factory during this time and also went through a major strike with it's employees. 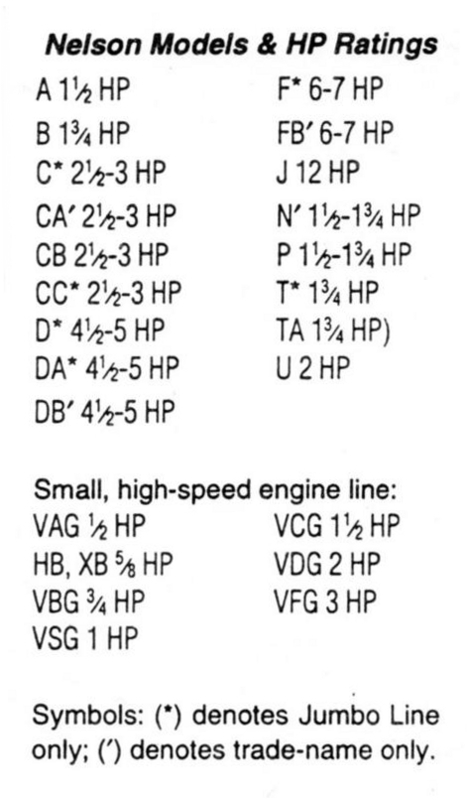 Some of the engines were identical looking to Nelson brothers engines and others were not. The DEW 4 cycle engines with the raised embossed letters (Detroit Engine Works, Detroit Michigan) on top of the water hopper must have been very few of these style engines made. I know of only three of the 8hp engines in existence and the other smaller horse power engines are very few also. If anyone out there has one of these style Detroit engines or any information about them please E-mail me.